He was a man of moderation in a fraternity of jingoistic nationalists; a peace visionary in a region riven by religious animosity; and a man who believed in India's destiny and was ready to fight for it. Former Prime Minister Atal Bihari Vajpayee (93), who died on Thursday, will go down in history as a person who tried to end years of hostility with Pakistan and put development on the front burner of the country’s political agenda. He was also the first non-Congress Prime Minister to complete a full five-year term. Even though he lived the last 13 years of his life in virtual isolation, dogged by debilitating illnesses and bedridden, he has left an enduring legacy for the nation and the region where he was much loved and respected across the political spectrum and national boundaries, including in Pakistan. 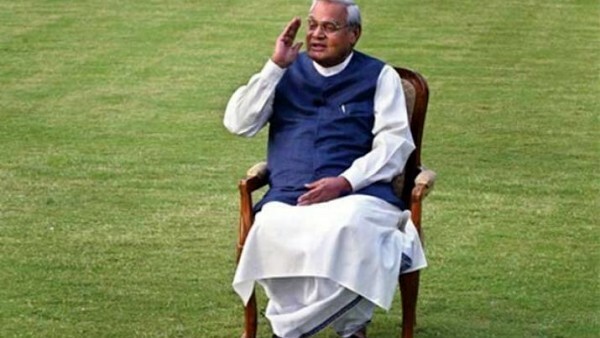 In the tumultuous period he presided over the destiny of the world’s largest democracy, Vajpayee stunned the world by making India a declared nuclear state and then almost went to war with Pakistan before making peace with it in the most dramatic fashion. In the process, his popularity came to match that of Indira Gandhi, a woman he admired for her guts even as he hated her politics. He also became the best-known national leader after Indira Gandhi and her father Jawaharlal Nehru. After despairing for years that he would never become Prime Minister and was destined to remain an opposition leader all his life, he achieved his goal, but only for 13 days, from May 16-28, 1996, after his deputy, L.K. Advani, chose not to contest elections that year. His second term came on March 19, 1998, and lasted 13 months, a period during which India stunned the world by undertaking a series of nuclear tests that invited global reproach and sanctions. Although his tenure again proved short-lived, his and his government’s enhanced stature following the world-defying blasts enabled him to return as Prime Minister for the third time on October 13, 1999, a tenure that lasted a full five-year term. When finally he stepped down in May 2004, after an election that he was given to believe he would win, it marked the end of a long and eventful political career spanning six decades. Vajpayee had gone into these elections riding a personality cult that projected him as a man who had brought glory to the nation in unprecedented ways. The BJP’s election strategy rested on seeking a renewed mandate over three broad pillars of achievement that the government claimed — political stability in spite of the pulls and pressures of running a multi-party coalition; a “shining” economy that saw a dizzying 10.4 percent growth in the last quarter of the previous year; and peace with Pakistan that changed the way the two countries looked at each other for over 50 years. The results of the elections could not have come as a greater shock to a man who was hailed for his achievements and who was named by Time magazine as one of the 100 influential men of the decade. Success didn’t come easily to the charismatic politician, who was born on Christmas Day in 1924 in Gwalior, Madhya Pradesh, into a family of moderate means. His father was a school teacher and Vajpayee would later recall his early brush with poverty. He did his Masters in Political Science, studying at the Victoria College in Gwalior and at the DAV College in Kanpur, Uttar Pradesh, where he first contested, and lost, elections. He began his professional career as a journalist, working with Rashtradharma, a Hindi monthly, Panchjanya, a Hindi weekly, and two Hindi dailies, Swadesh and Veer Arjun. By then he had firmly embraced the ideals of the Hindu nationalist Rashtriya Swayamsewak Sangh (RSS). But even as he struggled to win electoral battles, his command over Hindi, the lingua franca of the North Indian masses, his conciliatory politics and his riveting oratory brought him into public limelight. His first entry into Parliament was in 1962 through the Rajya Sabha, the upper house. It was only in 1971 that he won a Lok Sabha election. He was elected to the lower house seven times and to the Rajya Sabha twice. Vajpayee spent months in prison when Indira Gandhi imposed Emergency rule in June 1975 and put her political opponents in jail. When the Janata Party took office in 1977, dethroning the Congress for the first time, he became the foreign minister. The lowest point in his career came when he lost the 1984 Lok Sabha polls, that too from his birthplace Gwalior after Rajiv Gandhi won an overwhelming majority following his mother Indira Gandhi’s assassination. And the BJP he led ended up with just two seats in the 545-member Lok Sabha, in what looked like the end of the road for the right-wing party. In no time, Vajpayee was replaced and “eclipsed” by his long-time friend L.K. Advani. Although they were the best of friends publicly, Vajpayee never fully agreed with Advani’s and the assorted Hindu nationalist groups’ strident advocacy of Hindutva, an ideology ranged against the idea of secular India. Often described as the right man in the wrong party, there were also those who belittled him as a moderate “mask” to a hardline Hindu nationalist ideology. Often he found his convictions and value systems at odds with the party, but the bachelor-politician never went against it. It was precisely this persona of Vajpayee — one merged in Hindutva ideology yet seemingly not wholly willing to bow to it — that won him admirers cutting across the political spectrum. It was this trait that made him the Prime Minister when the BJP’s allies concluded they needed a moderate to steer a hardliner, pro-Hindu party. He brought into governance measures that created for India a distinct international status on the diplomatic and economic fronts. In his third prime ministerial stint, Vajpayee launched a widely acclaimed diplomatic initiative by starting a bus service between New Delhi and Pakistan’s Lahore city. Its inaugural run in February 1999 carried Vajpayee and was welcomed on the border by his Pakistan counterpart Nawaz Sharif. It was suspended only after the 2001 terror attack on the Indian Parliament that nearly led to a war between the two nuclear-armed neighbours. The freeze between the two countries, including an eyeball-to-eyeball confrontation on the border for nearly a year, was finally cracked in the spring of 2003 when Vajpayee, while in Kashmir, extended a “hand of friendship” to Pakistan. That led to the historic summit in January 2004 with then-President Pervez Musharraf in Islamabad — a remarkable U-turn after the failed summit in Agra of 2001. Despite the two men being so far apart in every way, Musharraf developed a strong liking for the Indian leader. His unfinished task, one that he would probably rue, would be the peace process with Pakistan that he had vowed to pursue to its logical conclusion and a resolution of the Kashmir dispute. In his full five-year term, he successively carried forward India’s economic reforms programme with initiatives to improve infrastructure, including flagging off a massive national highway project that has become associated with his vision, went for massive privatisation of unviable state undertakings despite opposition from even within his own party. While his personal image remained unsullied despite his long innings in the murky politics of this country, his judgment was found wanting when his government was rocked by an arms bribery scandal that sought to expose alleged payoffs to some senior members of his cabinet. His failure to speak up when members of his party and its sister organisations, who are accused of killing more than 1,000 Muslims in Gujarat, was questioned by the liberal fraternity who wondered aloud about his secular proclamations. He wanted then Chief Minister — now Prime Minister, Narendra Modi — to take responsibility for the riots and quit but was prevailed upon by others not to press his decision.